Travel audience, an Amadeus company for programmatic media purchasing in the travel sector, has signed the exclusive distribution agreement with the Dubai-based digital media agency Reach Mena Digital. Reach Mena Digital, headquartered in Dubai, specializes in all aspects of digital advertising, including the development of high-tech solutions focused on the Arab market The partnership is focused on the expansion of travel audience’s geographic reach and the development of new partner and customer relationships. travel audience has also won Dubai Tourism as a customer in March, strengthening its expansion strategy in the Gulf region. Other clients include media agencies, airlines, hospitality and leisure brands and online travel agencies. 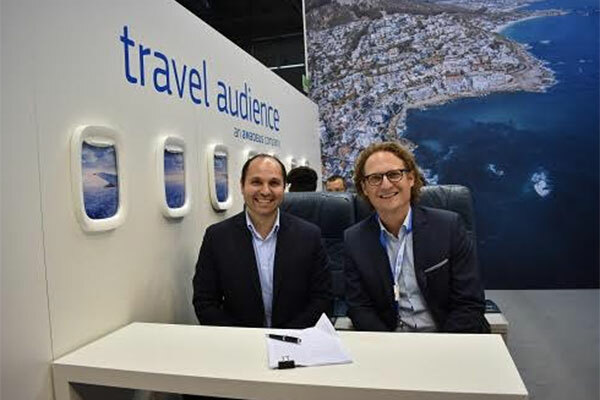 Alexander Trieb, managing director at travel audience said: "We are delighted to have Reach Mena Digital, a strong and experienced digital partner, by our side. Their expertise and impressive client portfolio have convinced us. Campaigns have won and completed so far show that they are the right partner to support our growth plans in the Gulf region. Mazen Hallaway, founder and CEO at Reach Mena Digital said: "travel audience's platform and product offering for the GCC and Mena is exactly what the region has been waiting for. Their Demand Side Platform paired with access to high-quality premium inventory, exclusive data, and global reach is not only unique but highly effective.